A fabulous road trip only requires a couple of things - a will to travel on unknown paths, good music and directions. Winters are a great time to travel as they offer pleasant climates during trips and come with a much required promise of holidays and celebrations. We decided to celebrate winters with a road trip panning a very interesting route - a trip that helped us enjoy winding roads through three states - Maharashtra, Goa and Karnataka. Tip: To cover new places and scenery during your drive, try and design a route which ends as a loop. Located at approximately 230 km from Mumbai, Wai is a picturesque destination enveloped in natural beauty. If you prefer to leave the crowds behind and enjoy a peaceful stay - Wai a lesser known temple town offers serenity and much to do to a discerning traveler. Over shadowed by more popular destinations like Mahabaleshwar and Panchgani - Wai is a beautiful reminder of its glorious history. 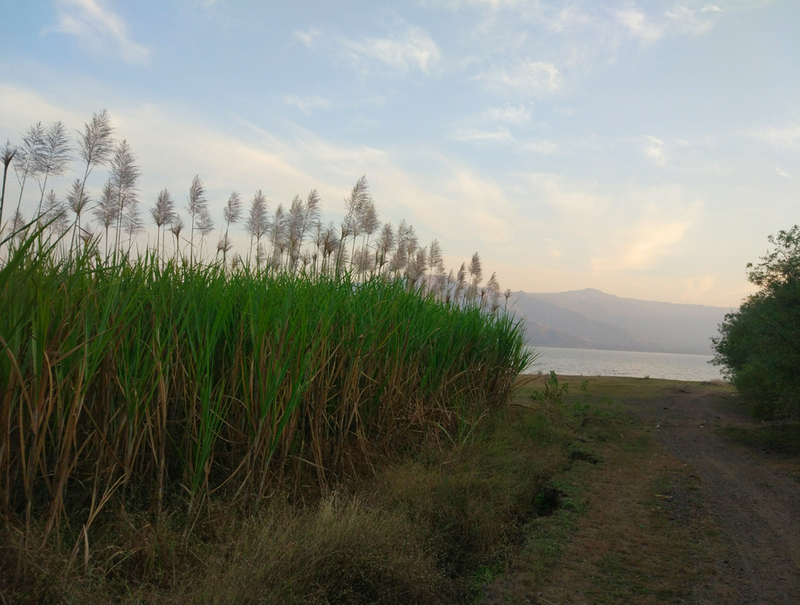 A popular choice for many Bollywood shoots including the movie Swades, here is our article on what to do once you arrive at Wai. From semi luxury stays to modest resorts, Wai offers a lot of choice for accommodation. We stayed two nights at Wai in a modest resort that offered Agro tourism. After a pleasant two night stay at Wai exploring the many sights on offer, we drove down to Belgaum on smooth, straight and eight lane highway and we touched another state - Karnataka! The route takes almost 4 hours to cover as it is a straight road without any expert maneuvering usually required on ghats. En-route one can stop at the many dhabas dotted on the highway at Kolhapur to enjoy a local dish of Mutton-Bhakri ( Indian lamb curry served with hot jowar flatbread), Kolhapuri tambda rassa (chicken curry) and continue the journey. 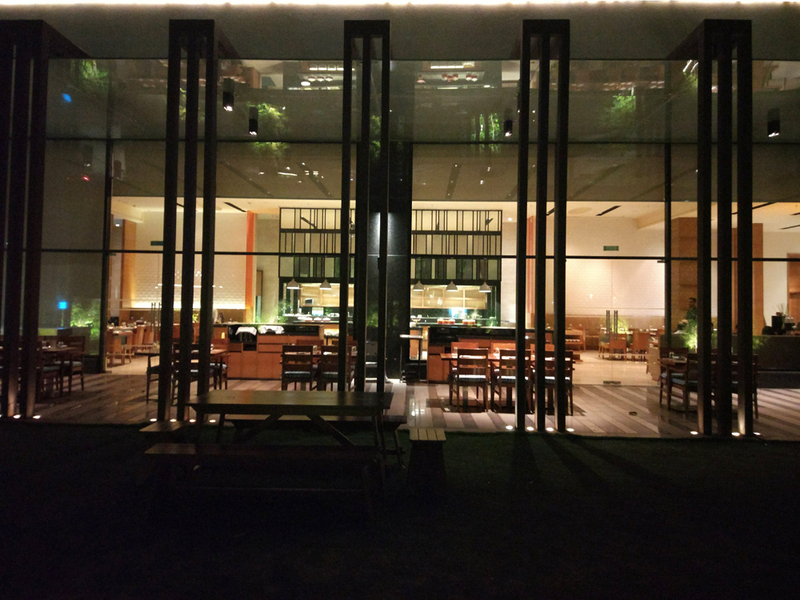 After the wilderness at Wai, we enjoyed a resort style stay at Fairfield by Marriott Belagavi which houses restaurants like Irish House, Copper Chimney and more. Located at the foothills of Sahyadri, Belgaum offers many tourist attractions like natural wonders, historic sites, lakes, trekking sites and temples. We stayed one night in Belgaum but one can easily stay two nights and explore the sights. Do try the famous Kunda, a sweet prepared from milk and khoya and Dharwad Pedha. This route will take you from Karnataka to state of Goa via the beautiful bends of Chorla Ghat, a destination located on the intersection of the borders of Goa, Karnataka and Maharashtra. Part of the Western Ghats in the Sahyadri mountain range, Chorla Ghat is a beautiful destination that offers different experiences in changing seasons. If you have more time on hand, consider a overnight stay at one of the many resorts in Chorla Ghat. We continued our journey to Divar Island with a promise to visit Chorla Ghat soon. Tucked away amidst greenery and peace, Divar island is located upriver from Panjim on river Mandovi. If you want to plan an offbeat trip to Goa away from sandy beaches, Divar island offers an unbeatable experience. Tranquil and picturesque, Divar island is divided into Piedade, Malar and Naroa villages. The island looks unchanged and unaffected by modernity and offers glimpses of rural life and we enjoyed a two night stay here. The quaint winding roads welcome you to walk unhurriedly and soak in the serene atmosphere of a charming countryside. 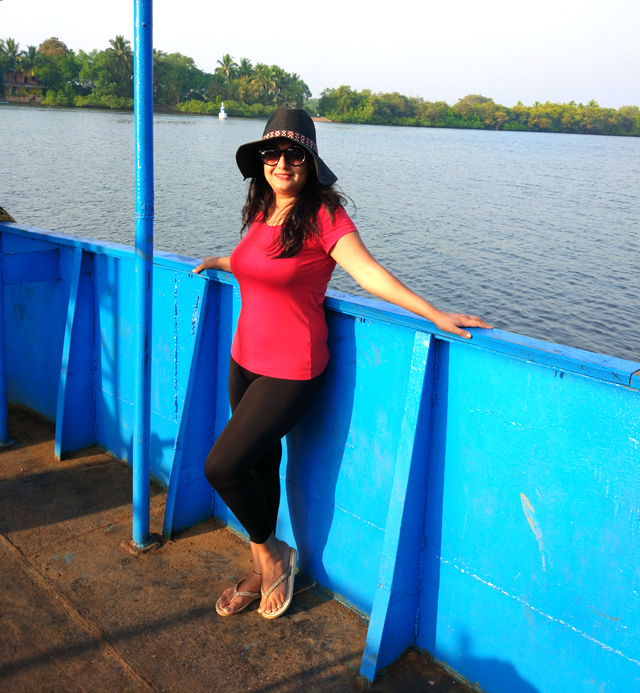 Here is a quick guide about exploring Divar Island. Do not miss a visit to Mapusa market - a bustling bazaar located only one hour from Divar Island try your hand at bargaining or just wander around, Mapusa market shall not disappoint. This market that attracts locals shopping for their daily needs as well as tourists hunting unique bargains, winds up at dusk, so wear some comfortable walking shoes and indulge in our favorite pass time - bargain hunting. 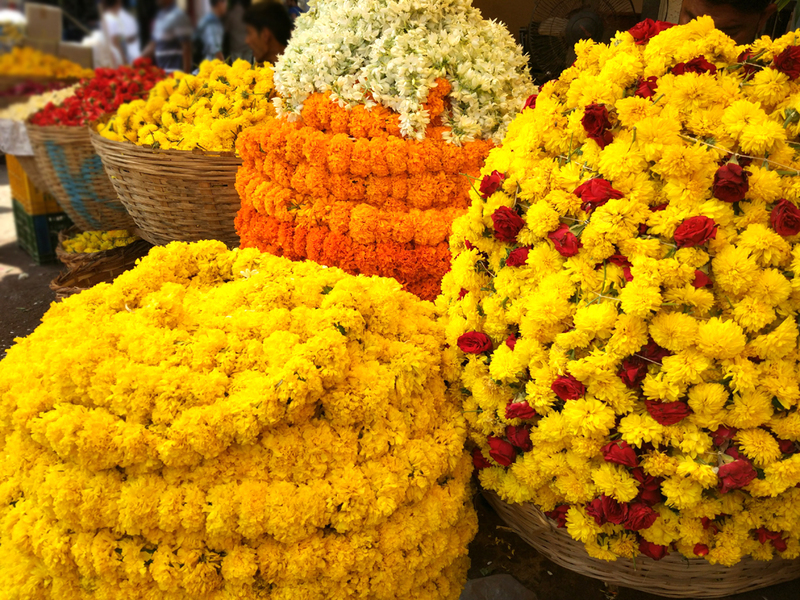 To plan a visit to Mapusa market, read our article here. After spending couple of hours in Mapusa market, we started for Satara via the amboli ghat route. 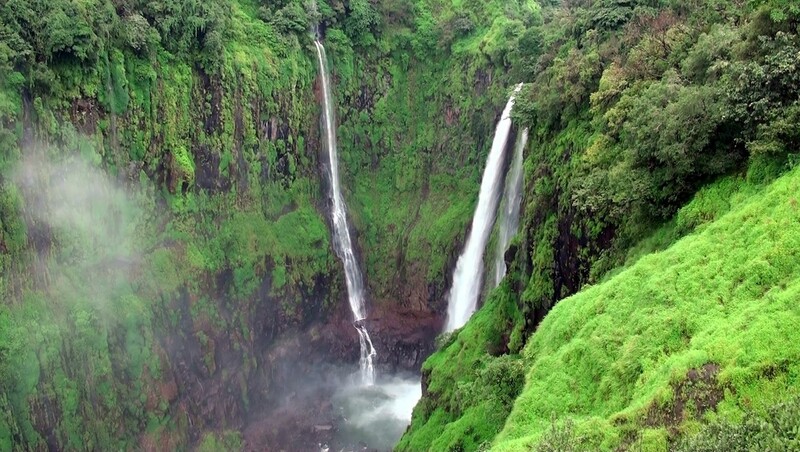 Located in Southern Maharashtra, Amboli is hill station amidst Sahayadri Hills, a popular eco tourism destination. Amboli is well connected by road to three surrounding cities - Kolhapur, Belgaum and Panjim and famous for Amboli waterfalls during monsoons. If you have time, plan a stay overnight in Amboli Ghats. 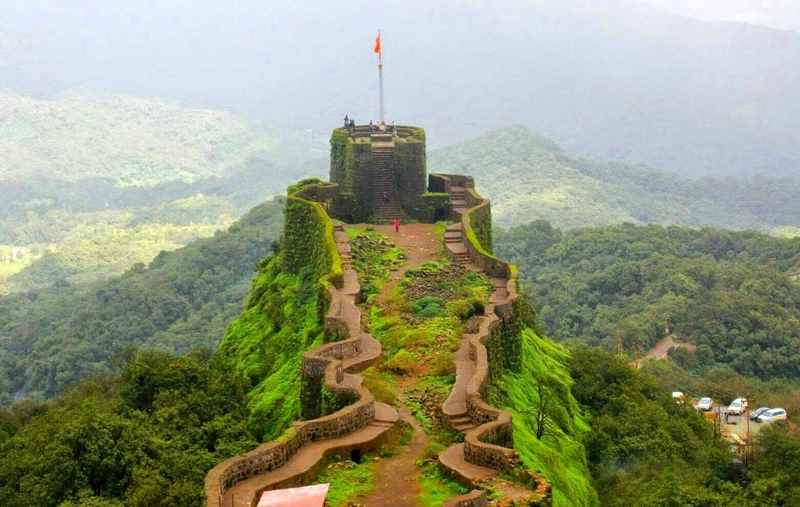 Satara, a city established in the 16th century lies at foot of the famous Ajinkyatara fort. Every year many tourists visit Satara from September till October to enjoy the scenic beauty offered by seasonal wild flowers and numerous butterfly species at Kaas Plateau, also known as the Kaas Pathar or Kas Sadas, If you are doing this route during monsoons, visit the famous Thoseghar and Vajrai waterfalls. Do buy Kandi Pedha- a traditional sweet from Satara for loved ones eagerly waiting for you back home :) We stayed one night in a comfortable hotel located off the highway that offered modern amenities and a great location. We started the last leg of our road trip at around 11:30 am and stopped for lunch at one of the dhabas on NH4 to relish some Mutton-Bhakri. We eventually joined the Mumbai-Pune Expressway for a speedy trip back home.